Community Health Systems' aggressive divestiture strategy and fourth-quarter performance caused its stock to jump 32% in mid-afternoon trading Tuesday. The nation's second-largest investor-owned system posted adjusted EBITDA in the fourth quarter of $564 million, compared with $527 million in the prior-year period. But CHS' rally around $9 a share is a far cry from the $64.04 stockholders enjoyed in June 2015. On Tuesday, CHS said it is continuing its turnaround plan and will sell 25 hospitals—up from the 17 it said was shedding in November. 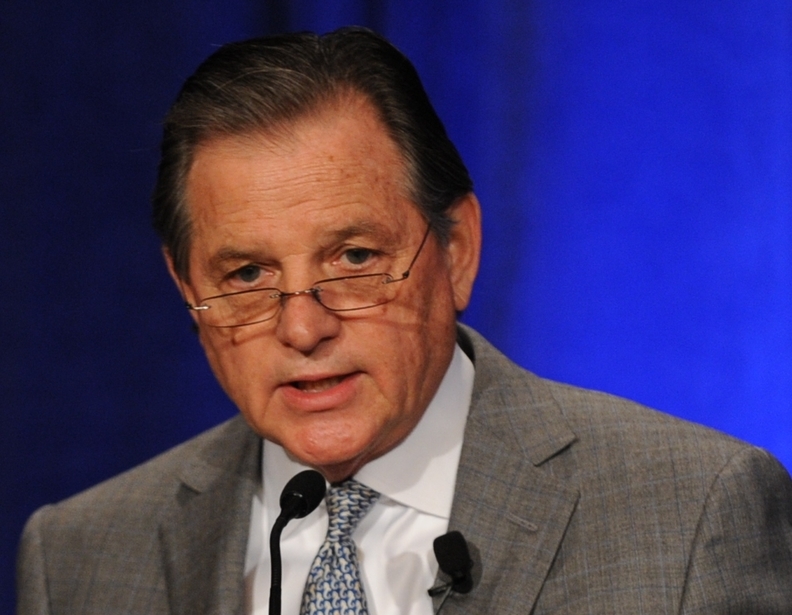 Chief Financial Officer Larry Cash told analysts during an earnings call on Tuesday that he expects to divest additional hospitals by the third quarter that account for 4% to 5% of annual revenue. The Franklin, Tenn.-based hospital chain posted revenue of $18.4 billion in 2016, down from $19.4 billion in 2015 as a result of asset divestitures. It also reported a $220 million net loss in the quarter and $1.7 billion net loss for all of 2016. Still, CHS has made progress on improving operating performance, Mizuho Securities USA Director of Research Sheryl Skolnick said in a note to investors. Skolnick said there are still questions about how well CHS can sustain its turnaround plan in 2017. But Mizuho raised its recommendation on CHS to neutral from hold, with a share price target of $7.50, which is more than double where it had been. CEO Wayne Smith told analysts that CHS is getting strong interest from potential buyers in its hospitals at attractive multiples of 10 times earnings before interest, taxes, depreciation and amortization. "Significant progress has been made in our work to divest certain hospitals and other operations, enabling a reduction in our debt and the opportunity to reshape our portfolio into a stronger, more sustainable organization," Smith said. By spinning off 38 rural hospitals into Quorum Health in 2016 and completing the sale of an 80% stake in CHS' home health business, the company has lowered its total debt to $14.8 billion from $16.6 billion at the start of 2016, Cash said. Smith said CHS is focusing on recruiting physicians, improving costs and opening new patient access points around the 133 hospitals it will be left with after divesting the 25 now either under a definitive agreement to sell or letter of intent. The hospitals that CHS is divesting are producing margins in the mid-single digits for EBITDA, Smith said. The company wants its hospitals on average producing in the low double digits. The big net losses in the fourth quarter and in 2016 were largely the result of one-time impairment charges that CHS has been taking to reduce the book value of its 159 hospitals and for losses on the sale of businesses. Among the hospitals that have lost value are the 60-plus that CHS bought in 2014 for $7.6 billion from Health Management Associates. CHS has been slow or unable to get those hospitals up to speed since the acquisition, and they are among the facilities being shopped. CHS booked an impairment charge of $224 million in the fourth quarter and $1.9 billion for 2016, the company reported.